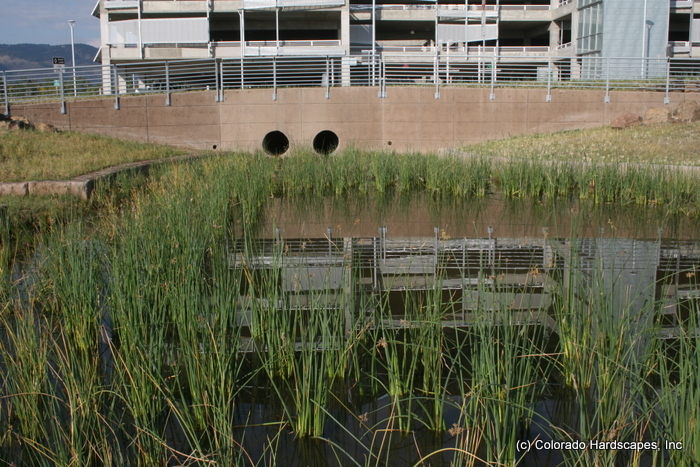 At the NREL Campus, part of the storm water management plan included a series of detention ponds. The client wanted to restore the natural habitat as well as have an effective storm water solution. Colorado Hardscapes worked with Growling Bear with designs from Martin/Martin and RNL Design to create a storm water solution to achieve these goals. 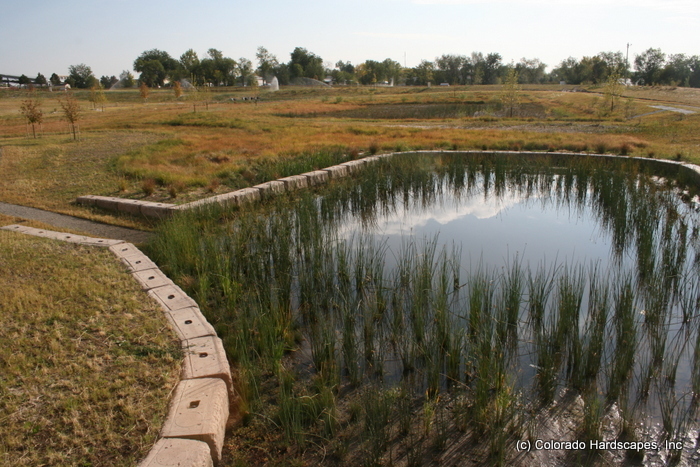 In the primary detention pond, Colorado Hardscapes installed integrally colored Grasscrete. Because Grasscrete is a monolithic reinforced concrete slab, it provides the structural integrity needed for the primary pond. It also contains voids to allow for a plethora of vegetation as well as storm water drainage. With natural vegetation planted in the voids of Grasscrete and the earth-like integral color of the concrete, the detention pond “disappeared” and restored the natural habitat of the site. Because of the structural integrity of the slab, tractors can easily drive on and scrape off silt build-up when needed without destroying the paving or the root structure of the vegetation.